In reading the packaging, The Revlon Grow Luscious claimed to "not only make lashes look longer and lusher, but the mascara's formula also aids in the growth of lashes,thus, improving in their overall appearance and condition with every use"
Well, my lashes are already long and pretty full (blessed). 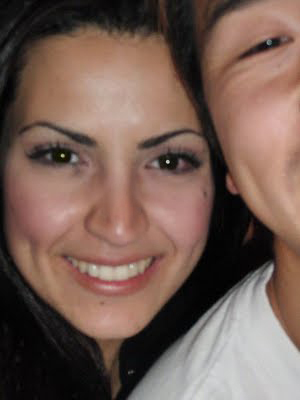 People are always asking me, "are your eyelashes fake? Can I touch them?" (okay, but odd...), but what the hell, I'm greedy, so I'll buy into the marketing and purchase two! 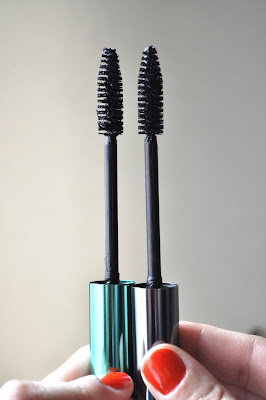 I bought the Revlon Grow Luscious waterproof formula in blackened brown and blackest black(normally, I'm not a fan of waterproof mascaras, even though I own a lot : P but this summer has been exceptionally cruel, so it's better to be safe than sorry!). Now, onto the REAL first impressions, The first thing you'll notice with this mascara is the massive brush, it's huge. 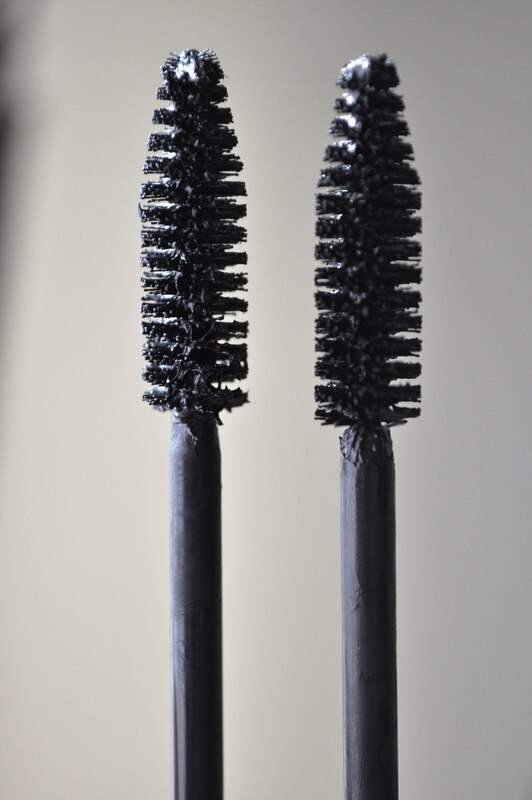 The brush is comparable to that of Mac's Opulash and Dior's diorshow mascara. Revlon's brush is a bit bigger and thicker than mac's, but Dior's bristles are more dense in comparison to the Grow Luscious. Grow Luscious may not be a favorite of ladies with shorter lashes, due to the fact that it will require a bit more work and possible mess to get the desired effect. I didn't see much of a difference in that department. What I did like, is that it did do a great good at fanning out my lashes, but that's about all I liked. This mascara has more flakes then a Kellogg's cereal! I found myself picking black pieces from my under eye area and cheekbones. Also, Grow Luscious is a non-waterproof waterproof mascara!! I put the Grow Luscious on the "fitness" test, Basically, I wore it to the gym to see if it could withstand all the sweating. After the end of a two and a half hour workout, this mascara traveled all over my under eye area (huge fail!!). Actually, this mascara smudged every time I wore it, so unless you're into raccoon or panda eyes (which may be cute), I wouldn't recommend this mascara. Unfortunately, I can't comment on the improvement/growth benefits that this mascara claims to do for ones lashes; since I stopped using the Grow Luscious after two weeks of use, due to all the smudging and flakes.